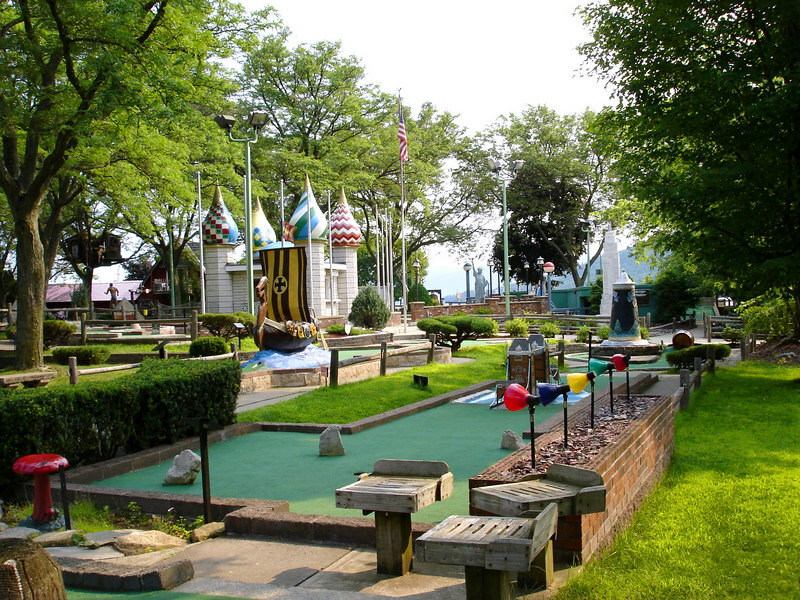 Like many older resort communities - Lake George offers a multitude of Mini-golf course. The two most impressive are Around the World Golf http://www.aroundtheworldgolf.com/) which features two 18 hole courses. One is of the world, the other is of the US. Lake George also has the very impressive Gooney Golf.